Our instructors are enthusiast to share their multiannual experience of full-time teaching and a boundless passion that has led them to achieve skills and knowledge well above usual levels! The result? Increased awareness, highest level of safety and, most important, much more FUN for the students!!! 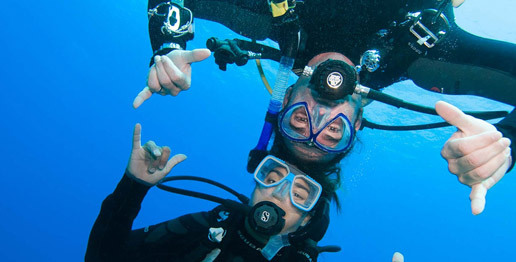 From your first underwater breath with the DISCOVER SCUBA DIVING up to the professional level of DIVEMASTER, through extremely fun ADVANCED diving experiences and very useful RESCUE skills. 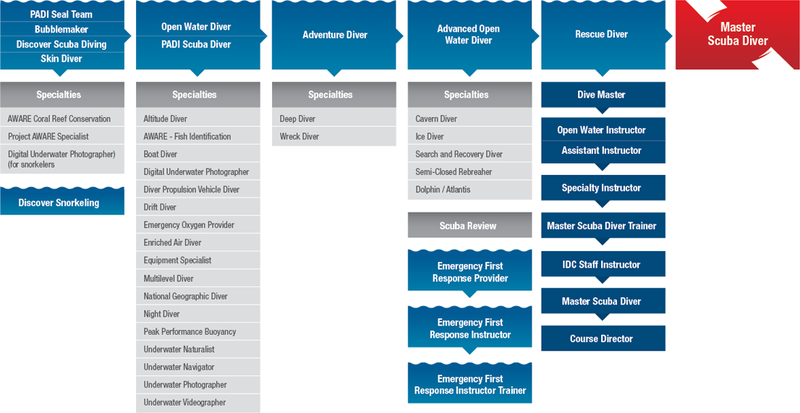 PADI certifications and experience will always be at your side in any place, being recognized all over the world! You'll discover that diving means to live a thousand different experiences: fly over reefs towed by a SCOOTER / DPV or pushed by the CURRENT and explore the wonderful WRECKS extending the depth and bottom time ranges thanks to the DEEP and NITROX programs. Moreover, with us you can do all this 365 days a year thanks to the comfort of the DRYSUIT!